The Chef has planted one row of Nandor carrots in the Plot. 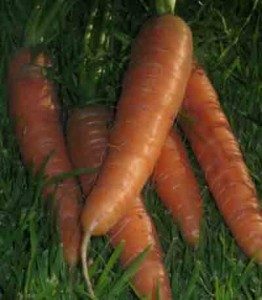 Nandor is a first class F1 carrot variety which produces high quality carrots. Nandor carrots taste sweet and have a wonderful flavour. They are very good cooked or eaten raw in salads. 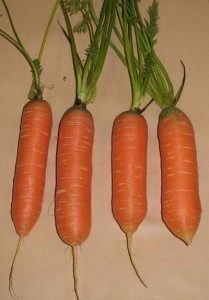 The latin name of carrot is Daucus carota. Nandor is a popular variety of carrot.